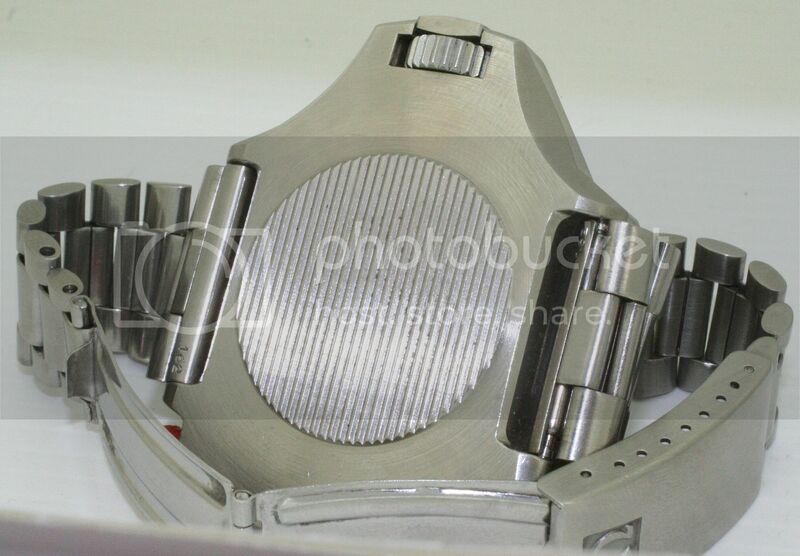 I WILL NOT SHIP THIS WATCH TO NIGERIA!! 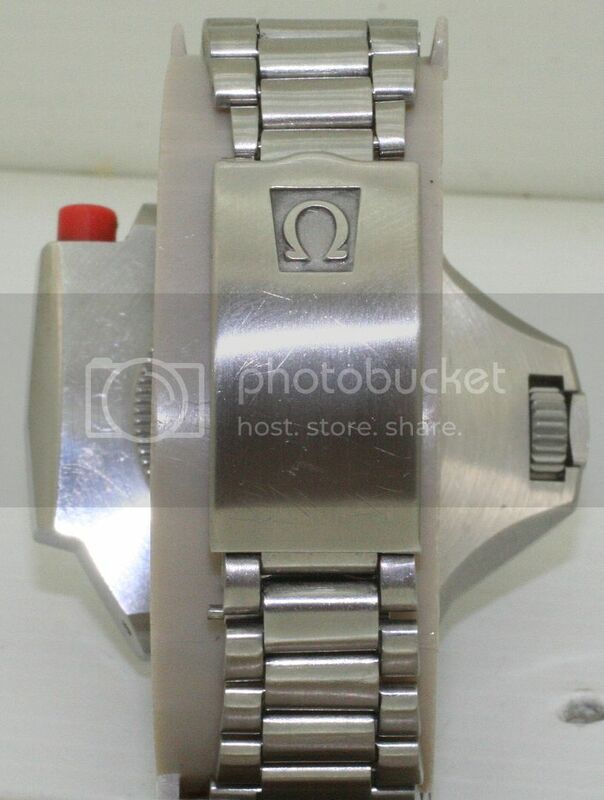 Rare 1970's Omega Ploprof - Lefty (correct date wheel). Working perfectly, a couple of very small marks on the crystal and one mark on the bezel. The case is excellent with no dinks or dents. The bracelet has lateral play but is in nice condition and will fit an approx. 7.75" wrist. 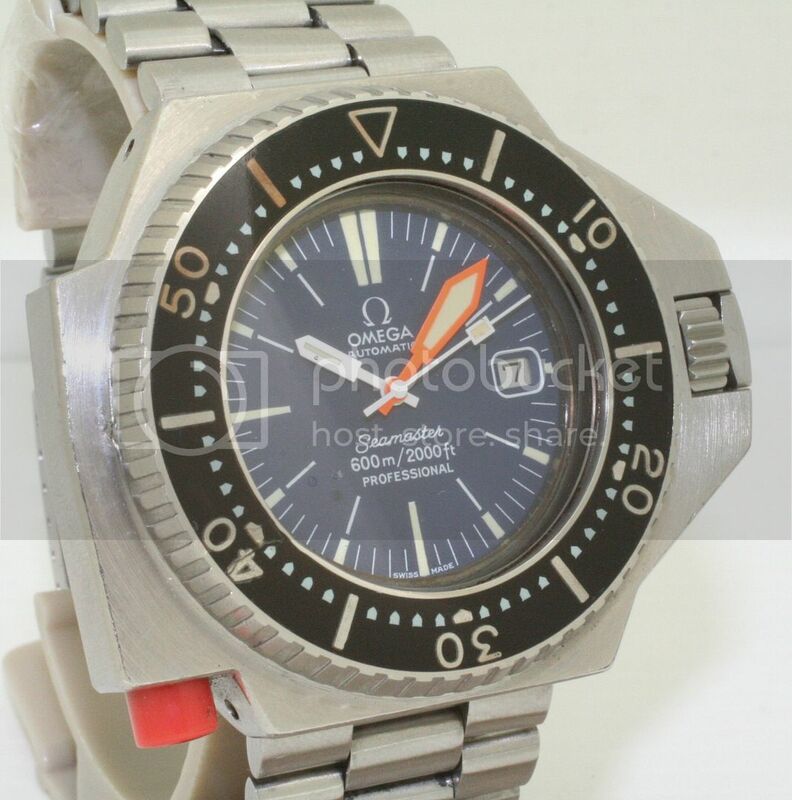 A nice rare original and unmolested example. 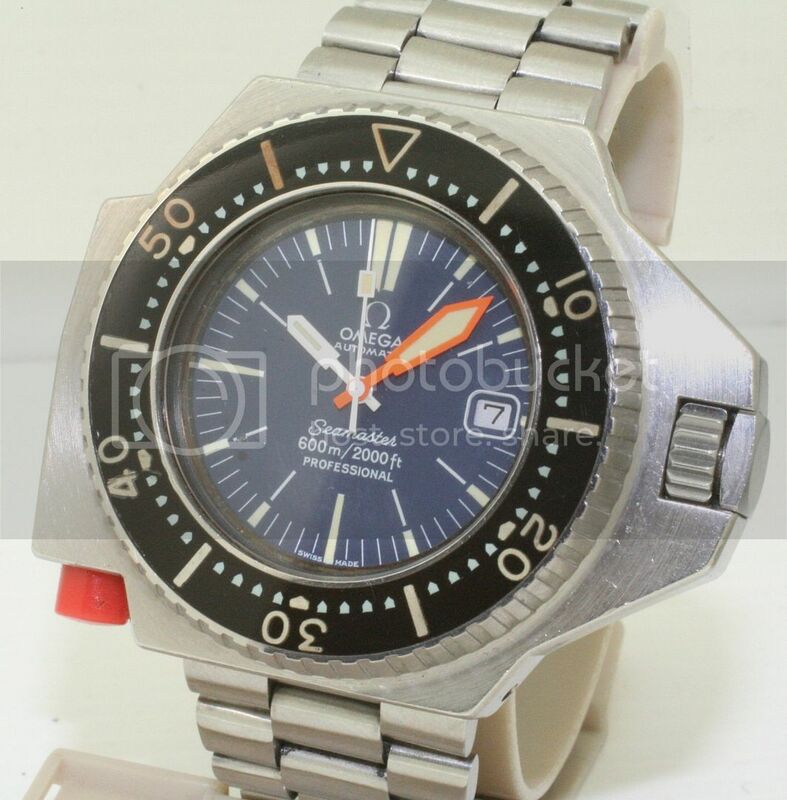 Guaranteed to be 100% genuine (refer to my feedback for high end watches). As with all my watches I'm more than happy to accompany any prospective buyer to a dealer or specialist local to myself (Maidstone, Kent) to have the watch inspected authenticated (authentication fee's to be bourn by buyer). 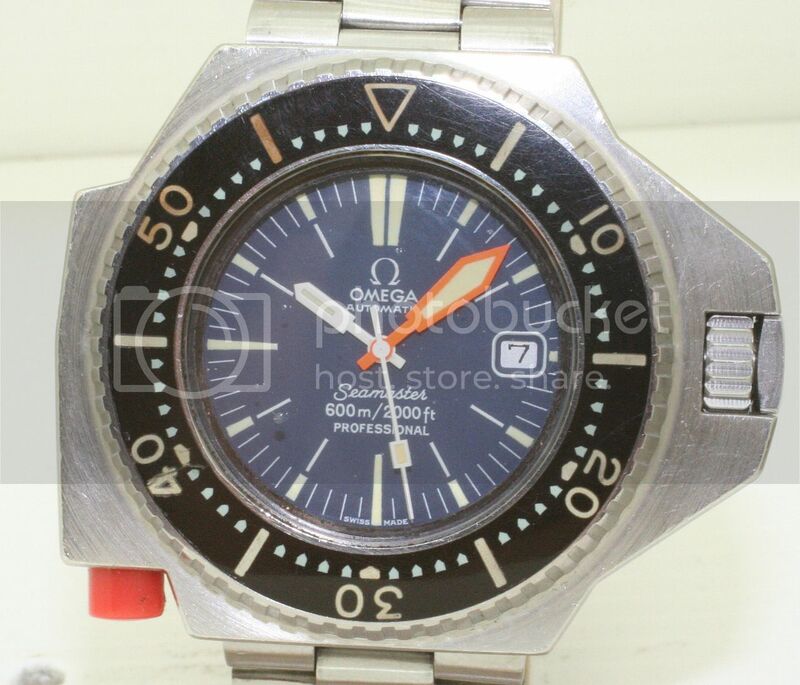 If you would like to come and view the watch prior to the auction ending this is not a problem, I am not a con man (as you can see from my excellent feedback) and I do not sell fakes, all my watches are guaranteed to be authentic and as stated. Those members who have 0 feedback it would be hugely appreciated if you could contact me first with your intention to bid, I realise we all have to start somewhere but due to a large number of non paying bidders with 0 feedback I kindly ask you contact me first. You are encouraged to resolve any doubt or ask any questions that may be lingering in your mind, before bidding. All items sold are sold "AS IS".-- I do my best to describe each item completely and post clear and detailed photographs accurately portraying the current condition of the item. Please understand that even though every effort is made to describe the watch as accurately as possible (in accordance with the guidelines provided by eBay and other benchmarks set by various sources on the internet), terms like: very good, excellent, near mint condition etc, to describe an item, are relative and subjective (owing to the individual preferences and "mental standards" for different people). For payment I will only accept bank transfers (these are free and can either be done online or by cash at any Natwest branch) and cash on collection. Returns are accepted if the item is faulty (minus initial postage fee). Finally please use your good judgment by checking out my feedback and asking pertinent questions to clarify any doubts that you may have prior to bidding. I do not guarantee any of my watches to be waterproof unless expressly stated (this is not to say they are not), if you wish to wear your watch in the water always have it pressure tested first for peace of mind.